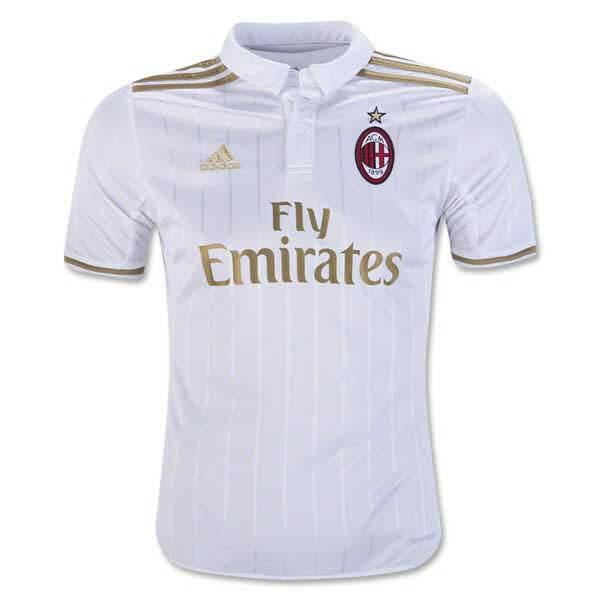 For the 2016/17 season, AC Milan will wear a white away jersey with gold accents, representing the club's purity, elegance and many years of trophies. Two button polo collar. 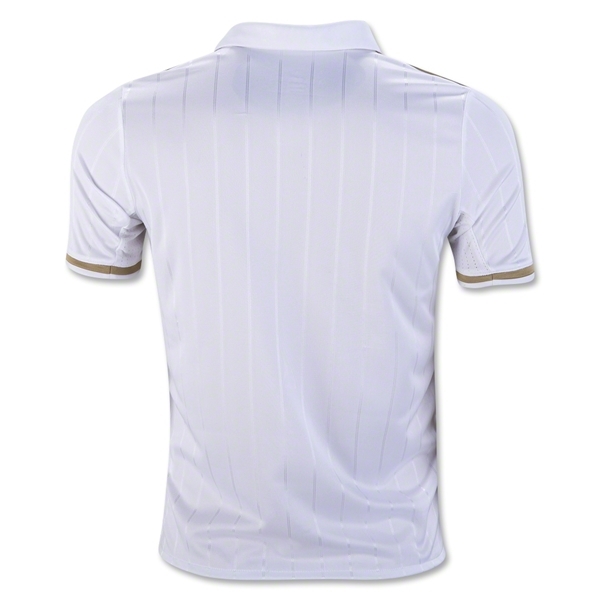 Thin pinstripes cover the front and back of the shirt.